Android Reborn – 2 Solutions to Fix LG G6 Keeps Restarting and Freezing. We are sure that you must have been aware that Smartphone can have problems, like having it restarting itself without us doing anything. In most cases, the restart action will happen over and over again and it might eventually go freezing at some point. So how to fix LG G6 restarting itself and freezing? We have some solutions you can be sure to consider. Let’s just get down to it then. One of the reasons behind the bootloop on Smartphone, including LG G6 is none other than corrupted new system update or firmware change. When this happens to you, one of the solution to fix LG G6 bootloop and freezing is to do factory reset. Be sure to not forget that it is highly recommended to back up your data for everything will be lost once the factory reset is executed. 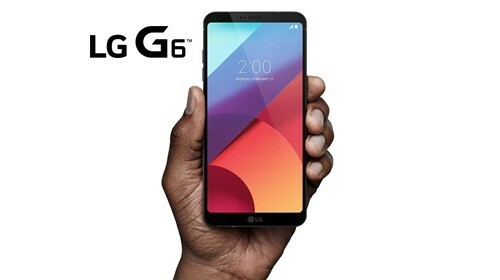 If system update or firmware change does not seem to be the culprit of your phone’s bootloop issue, you need different way of fixing bootloop and freezing on LG G6 for it is caused by different thing. This thing is most likely to be badly designed apps. You know it yourself now that each cause of bootloop can be dealt with certain solution. If it seems to be corrupted system update or firmware change, factory reset becomes the easiest thing to do. If you get badly designed apps to begin with installed on your phone, you can just boot it up in the safe mode. Give it a try depending on the cause of your problem.